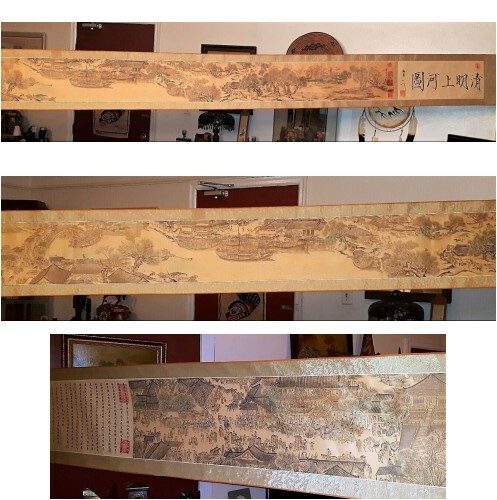 Can anyone identify this huge 21 foot long horizontal paper on silk scroll? (NOTE: see part 2 of this listing for remaining script!). Any assistance would be greatly appreciated! Thank you! David. over the world. Your one is a duplication from one of these copies. 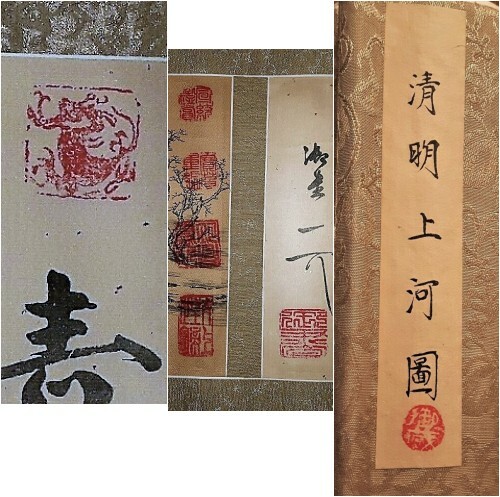 The other seals are collectors` seals. 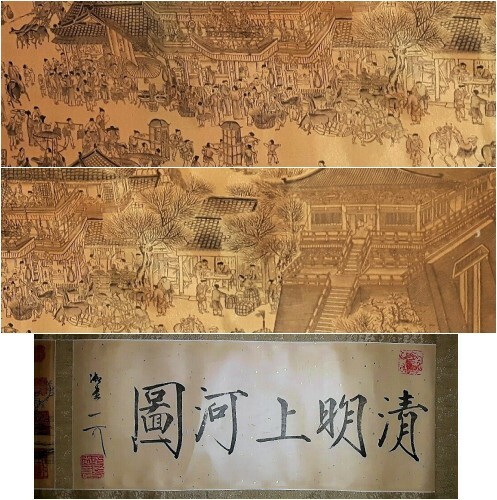 During a visit to SuZhou and HangZhou to research the river villages there, in one of the historic houses, I saw a diorama with animated figures representing part of this painting. Quite fascinating.